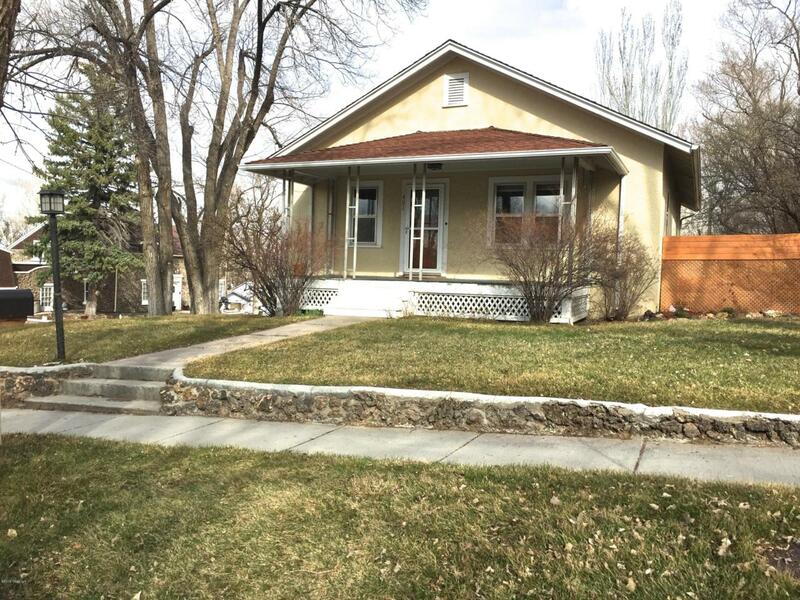 Charming craftsmanship in this 4 bed, 1.5 bath homestead in downtown Gillette! Tall white cabinets in the kitchen with lots of light flowing in from a large window that overlooks the backyard. Built-ins flank the dining room with original hardwood floors continuing into the front living room. Bedrooms have built-in wardrobes! Updated bathroom with granite countertops & tiled soaker tub! Large room in the basement could be 4th bedroom or family room. Fenced yard is perfect for pets & parties! Call/Text Jamie 307-680-1239 for a showing!